Trading in your aging vehicle to a dealership is always a good idea, especially if you’re also seeking a new car. These businesses will often offer a bit more for your car if it means you’re going to be making a subsequent purchase, and this could help you save a solid amount of money overall. Of course, there’s a good chance that you’ll still be disappointed at the initial offer for your aging car. Fortunately, there are several easy ways that drivers can boost the value of their ride. It understandably takes a bit more commitment to maximize the price of your vehicle, but it will certainly be worth it in the long run. Whether you simply clean the vehicle, do extensive homework, or shop around for the best possible offer, you’ll see that your efforts are reflected by some additional money. You’ll be surprised how many sellers fail to determine the ideal asking price for their vehicle. In this situation, you could be missing out on a sizable chunk of change. For starters, a solid understanding of your vehicle’s value will prevent you from selling the car for too little. By setting a reasonable floor price, you’ll recognize when you’re not receiving a great offer. Dealerships or private buyers will probably nitpick multiple parts of your vehicle in an attempt to lower the asking price. While you’ll surely have to compromise during these negotiations, you’ll also have an understanding of when the seller has gone too far. One buying strategy is to offer a non-messy number, like (for example) $3,000. This may be easier to calculate in your head, but you might be missing out on an extra couple hundreds of dollars by accepting these types of offers. This discrepancy could end up being a month’s payment for a new car. 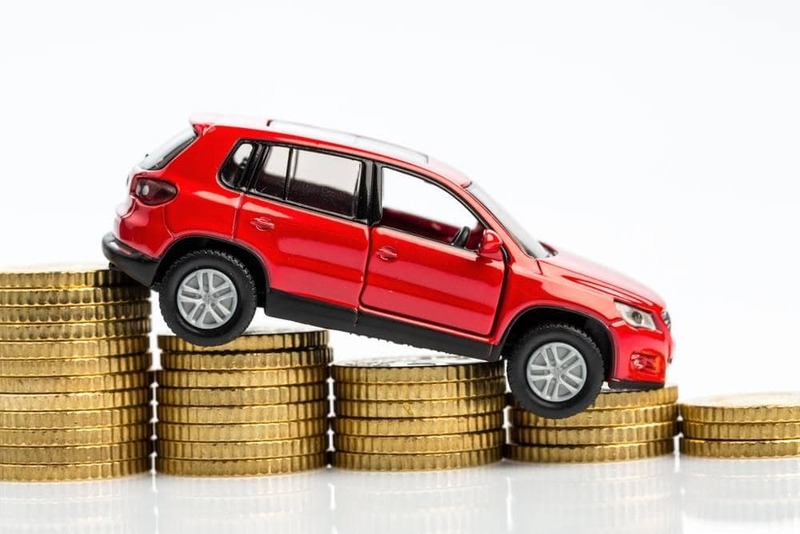 It’s important to determine the fair value for your vehicle as opposed to the ideal value. Take into account how the vehicle is operating, the vehicle’s age, and any major mechanical issues (like a previous collision or water damage). If you end up dramatically overvaluing your vehicle, you may scare away some customers (or get laughed out of a dealership). On the flip side, you don’t want to be blindsided when you’re looking to sell your car. Some sellers experience “reverse sticker shock,” and this is usually accompanied by crippling disappointment. If you were expecting $15,000 for your ride, you may have already been thinking of ways that you could spend that money. But if the ride ultimately sells for $7,500, these plans will quickly turn into dreams. How do you determine a fair asking price? There are a number of online resources that you can use to guide you, and you can also refer to seller’s websites like eBay to understand how much similar vehicles are selling for. Dealerships often rely on Manheim (which provides them with the wholesale value) or Black Book (which lists used car prices), so if you want to anticipate their offer, you should also explore these resources. If you were going to be selling your house, you wouldn’t want to show prospective buyers a pigsty. Instead, you’d want your house to be clean and picked up, as this will allow those customers to envision the ideal version of what you’re selling. This reality certainly applies to any vehicle you want to sell. If your ride is full of trash and grime, customers won’t truly be able to appreciate all the interior has to offer. By simply picking up the floor and vacuuming the seats, you can make your vehicle a lot more presentable. You’ll be shocked at the impact this will have on potential buyers, as these future owners often assume that a neglected interior is indicative of neglected mechanics. Speaking of, owners will also want to make sure that their vehicle is performing to its full capability. If there’s one odd noise or an inconsistent shaking, you can bet that potential buyers will use this fact to lower the asking price. Check that all of your car’s mechanical aspects are operating properly, even if it requires an inexpensive trip to the mechanic. Ultimately, the cost of a trip to a technician will hurt your wallet less than the reduced value of a car with questionable functionality. No matter what you’re selling, you never want to take the first offer (unless it’s egregiously in your favor). You should at least explore the market and confirm that you’re getting the best possible value for your ride. So what does this require? Well, you won’t have much success if you plan on solely negotiating with one dealership or private seller. Secure at least a pair of non-committal offers, as doing so will give you numbers to think about. Furthermore, you could use these various offers to leverage all of the potential buyers, although you risk losing a customer if you continue to prolong the process. Why would one dealership agree to pay more than another dealership? It could depend on a variety of factors. For example, if a dealership’s inventory is full of SUVs, they may be more inclined to pursue sedans. Furthermore, a dealership may have had previous issues selling your particular vehicle, while another dealership may be unaware of the difficulties. While these businesses are undoubtedly experts in their field, there are still ways that you can come out on top during negotiations. Not too hard, right? As we explained earlier, it truly just takes a bit of effort to boost your vehicle’s trade-in value. While the price discrepancy may seem minimal, it could be the difference between you being able to afford a desired car or a more affordable (but less desirable) option. Furthermore, you could always use that money to add several amenities to your new ride. If you’re seeking a painless process, visit DePaula Chevy in Albany, New York. The helpful staff will determine a fair value for your used ride, and they’ll subsequently pair you with the perfect new vehicle!